The University is forcing out popular restaurants Mehran and Panda Cafe to make way for a planned office building at Square 75. The two remaining family-owned restaurants at 2100 Pennsylvania Ave. have three weeks to leave campus before a multi-million dollar GW construction project can break ground. 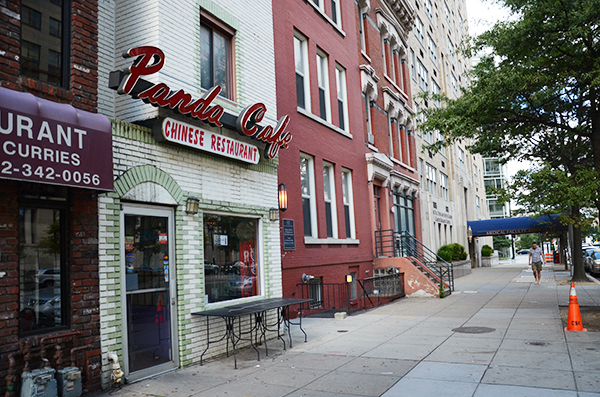 Mehran and Panda Cafe, the last of four restaurants that once formed a row of eateries down the block, have watched their neighbors move out for the past year as the University plans to turn the 250,000-square foot property into a high-end office space with ground-floor retail. The restaurants have until Sept. 15 to close their doors, University spokesman Kurtis Hiatt said. Kamran Khan, an employee at Mehran, said the restaurant may move to either K or M streets. Hiatt said the University has yet to finalize a ground-breaking date. GW will also knock down the John Quincy Adams House to make room for construction. The project’s developer, Skanska, plans to build a complex in a similar style to The Avenue, which opened in 2011 and has helped GW pocket $9.1 million annually. The rent from 2100 Pennsylvania Ave., one of the most coveted addresses in D.C., will help cushion GW’s bottom line, giving the University a solid revenue stream from in-demand rentals. Last spring, Froggy Bottom Pub relocated to K Street, shifting from a college-pub feel to an upscale atmosphere to lure a more business-oriented clientele. Thai Place also opened a new restaurant on L Street in April. Soi 38, located at 2101 L St., features Asian street food as well as a local mixologist who serves cocktails with prices as high as $12. Panda Cafe declined to comment on any plans for relocating. This article appeared in the August 25, 2014 issue of the Hatchet.